Earlier this morning I briefly wrote about the initial results for the M train rider report card. The MTA has released the full report card so it is time to get down to business! After going through the top 10 list of priorities, I feel that some accurate choices made the cut. Like its fellow Nassau Street counterparts the J & Z, the M could use a huge improvement in wait times. Sometimes you feel like you are waiting forever for a train to show up when these 3 are involved. The train announcements choice clearly depends on what part of the fleet you are riding on. I am not surprised to see security be a huge issue as that was a big issue for the J & Z in its rider report card. However I do question a couple of the selections. When I ride through the majority of stations on the J, M, or Z, I don’t really see many stations looking poorly cleaned. From the few stations I recall off hand, they were in decent condition considering some of the areas or characters surrounding it. One of the other choices that is debatable is the “adequate room on board at rush hour”. If you were to believe some of the posters on forums such as the Rider Diaries or Subchat, you would think the M is a virtual ghost town. I have lost count over the years or how many different individuals I’ve read feel that the M should never serve Southern Brooklyn. I for one think the M serves a huge purpose in Southern Brooklyn during rush hour. I have ridden the line during that stretch in the aforementioned area a lot over the years & feel it is utilized by a decent percentage of riders. The thing I wonder about is what portion of riders voted this category in the top 10. I don’t think it was the riders who utilize the line in Southern Brooklyn. In my times being out there on the D or M, I can’t recall ever seeing a sardine can atmosphere on the M. I assume the riders who voted this category into the top 10 are those riding it along Broadway in Northern Brooklyn. Overall I feel most of the grades were accurate in this report card. Other than maybe an odd grade here or there, the riders were pretty accurate in grading the Nassau Street lines. Unfortunately the amount of riders giving out those grades were still way too low. 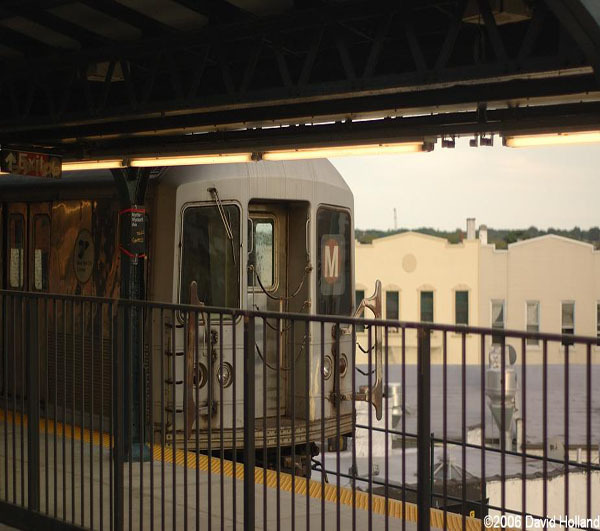 The MTA said they received over 1,360 report cards from M train riders. You already know that I feel that is way too low!